There was a time when Americans went abroad to work, study, marry or retire – and did so with little thought as to whether the US tax authorities would come after them. It’s very different today. Growing numbers of Americans who live overseas are finding that they are subject to a number of obligations, including the requirement to file tax returns every year or risk stiff penalties on top of any back taxes they may owe. Yet when it comes to managing their wealth and assets while living overseas, significant numbers of Americans who live abroad, technically known as “US persons”, continue to make some basic – and often costly – mistakes. Here three London-based experts – Chris McLemore and Kristin Konschnik of law firm Butler Snow LLP; and Trevor Egan of accountants Buzzacott LLP – describe what they view as the most common slip-ups made by American expatriates in relation to tax and investments. Wrong. Although American citizens end up living overseas for a range of reasons, one thing they almost all have in common is a requirement to file a tax return with the US tax authority, the IRS. This is the case even though they will almost without exception also be filing tax returns, and paying taxes, in the countries in which they live. In addition to filing a US tax return, such American expats (and even some American Green Card holders who have returned to their home country or elsewhere, but who have yet to complete certain necessary paperwork) are normally also expected to file other, less-well-known “informational” returns to the US tax authorities as well, also on an annual basis. To be clear: the only time Americans living outside of the US don’t have to file annual returns to the IRS is when their income falls below the gross income threshold – which for the 2017 tax year stands at $10,400 per individual. Americans residing abroad are also obliged to file “Foreign Bank Account Reports”, or FBARs, if their bank account balance is $10,000 or more during any point during the tax year. Keeping numerous accounts below this amount doesn’t eliminate the need to file FBARs, since the $10,000 threshold is an aggregate amount. A related misunderstanding concerns the so-called “foreign-earned income exclusion”, which eliminates tax on certain income (such as an individual’s salary) if the income falls below a certain threshold. This exclusion, though, doesn’t include “passive income” such as capital gains, dividends, interest and other forms of income. It’s not enough that a taxpayer’s income happens to be under the threshold. To count, this fact must be formally stated each year on a tax return, where the exact amount of foreign income is stated and the exemption formally claimed. As if that weren’t difficult enough, these days many non-US-based Americans are actually opting not to claim the earnings exclusion. Rather, they find it works out better to claim a “foreign tax credit” on their earned income. With many foreign tax rates being higher than the equivalent US rate (this would include France, Germany and the UK), taking the foreign tax credit in lieu of the exclusion can be a better option, and possibly also generate “surplus credits” to offset against other forms of US taxable income. This is one of many areas where advice is likely to be necessary. Bear in mind that tax rules are constantly changing, not just in the US, but around the world. So whatever one does this year may be worth reviewing on a regular basis. Your overseas home may well be your castle but if you’re an American the IRS will still expect to receive its share of any profits you make when you sell it. This is the case even if you live in a country, such as the United Kingdom, which doesn’t tax the sale of its citizens’ personal residences (or those of its non-citizen residents who meet certain requirements). The US tax (typically at 24%) kicks in at the point when an individual’s share of the gain made on their primary residence – in the UK, say – exceeds $250,000. This is the case even if the property in question were in a foreign country which does not apply tax to gains made on primary residences (such as the UK). If the residence in question were the jointly-owned home of a married couple who were both American citizens, the amount of the gain on which US tax would be owed would be the amount of gain realised above $500,000. Taxpayers should be aware that the gain is calculated using the exchange rate at the time of purchase and the exchange rate at the time of sale. This will work in favour of many US taxpayers in the UK if they are selling now, as the UK pound is currently weak relative to the US dollar. But those who are buying now should be aware that they could face an inflated gain – and thus be expected to pay US tax – if the pound recovers to its pre-Brexit highs by the time they sell. Anyone paying off their mortgages, whether at the point of selling their home or otherwise, will be taxed on any “exchange rate gain” they are deemed to have made on relinquishing their debt – but this time without the benefit of any $250,000 tax free threshold. Nothing about investing is simple and straightforward for US expats, thanks to the current American tax system. And the primary example of this is what is known as the “passive foreign investment company”, or PFIC, regime. In essence, a “PFIC” is non-US mutual funds. These are taxed disadvantageously and Americans abroad ideally should avoid them. But leaving your investments in the US is not usually the right answer either, as the UK has similar rules that can catch-out US-based investments held by British taxpayers. This is not to say that there aren’t investment options for Americans who live outside of the US. But again, it may be a case of seeking specialist advice. An American’s investments in an overseas (non-US) pension such as a SIPP (Self Invested Pension Plan), for example, though not subject to tax in the country in which it is held, might (or might not) be taxable year-on-year by the US. At the very least there will likely be annual information filing requirements with the IRS, in respect of this pension. And depending upon the type of pension, the necessary reporting can be significant and costly. Brits leaving the UK to reside in the United States should equally consider moving to a SEC licenced investment manager in London. Janette Saxer, Portfolio Director with Schroders Wealth Management (US) Limited adds “Without a SEC licence a client’s UK investment manager may not be able to talk to a client resident in the US even if they are just there on holiday. They also might not realise that if they continue to hold PFICs they may incur punitive US taxes”. 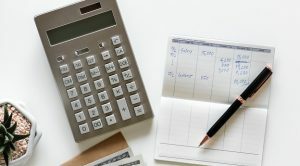 Failing to file Foreign Bank Account Reports is one of the easiest traps expats to fall into, and it can also be one of the most expensive, since the penalty for failing to file can start at $10,000. The reason FBARs can be easy to overlook is because they are filed totally separately from individual’s tax returns, and are relatively new. They are also not something most US-resident Americans have any need to file unless they keep money in overseas financial institutions – meaning they are generally less understood. Although the obligation to file FBARs came out of a 1970s bill known as the Bank Secrecy Act, it wasn’t widely enforced until after the USA PATRIOT Act was passed in 2001 in the wake of the terrorist attacks on 11 September of that year. For many ordinary American expats, however, the problem with FBARs began in the years immediately following the 2010 passage of the Foreign Account Tax Compliance Act, because FATCA is what gave the IRS information, for the first time, on the non-US bank accounts of US citizens around the globe. Part of the problem stemmed from the fact that no one thought to warn American expats and other American holders of non-US bank accounts about the fact that they needed to file FBARs – in addition to filing a US tax return. As of 2015, the most recent year for which figures are available, submissions had grown to more than 1.16 million forms, according to global accounting firm KPMG. In the process of moving abroad it is easy for American citizens to overlook a review of their estate plans. But the failure to carry out such a review, ideally before setting out for the airport, can cause problems. For example, many resident Americans set up and fund a “revocable trust” (sometimes known as a “living trust” or “family trust”) while living there. They do this to take advantage of the fact that such trusts normally limit the need to go through probate on death. Their advisers will normally have explained to them that such a revocable trust doesn’t have tax implications. However, while that may be true while the individual is still living in the US, if they are serving as the trustee of their revocable trust (or their spouse’s trust) and they move to the UK, that trust itself may then also become tax resident in the UK. The trustee may then have to file UK tax returns for the trust. At the very least, this will result in additional administration and fees, and could also result in an additional tax liability. And the solution may not be as simple as resigning from the role of trustee; since, if this happens once the individual has arrived in the UK, the resignation may itself trigger a tax charge. Sometimes, in the crazy world of international tax, a year is not a year. The US tax year may end on December 31, for example, but the UK tax year ends on 5 April. This difference in tax year-ends and, therefore, when tax is due in each country, can cause headaches for taxpayers who pay significant UK tax other than through the PAYE system. Although the US generally allows you to take a credit against US tax for any tax you pay in the UK, this credit will not be available if you do not make your UK tax payments within a certain period of time. The rules are tricky but you may need to consider paying some of your UK tax liability “ahead of time”. Not pre-paying your UK tax could, in some cases, mean that you must pay tax twice on the same income or capital gain, so this is a trap well worth avoiding. Admittedly not everyone is likely to face this quandary. But it comes up periodically and serves as a useful reminder on the differences between global tax regimes. The answer is, yes, Uncle Sam really does tax lottery wins made overseas, including in jurisdictions in which these wins aren’t taxed, such as the United Kingdom. This article is for information purposes only and based on tax laws at the time of publishing. Readers should seek professional advice for their individual circumstances.